FUBU gained even more nationwide exposure when Daymond and his partners traveled to the industry trade show Magic in Las Vegas. Despite not being able to afford a booth at the event, the FUBU team showed buyers the distinctively cut, vibrantly colored sportswear in their hotel room. The company came back to Queens with over $300,000 worth of orders. FUBU soon had a contract with the New York City-based department store chain Macy’s, and it began expanding its line to include jeans and outerwear. A distribution deal with Korean electronics manufacturer Samsung allowed their designs to be manufactured and delivered on a massive scale. With the brand transcending into the mainstream markets, FUBU recorded annual sales of $350 million, placing it in the same stratosphere as designer sportswear labels such as Donna Karan New York and Tommy Hilfiger. 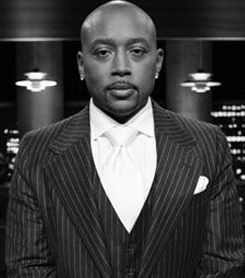 In recognition of his contributions to fashion and the face of American business, Daymond has been celebrated with some of the most prestigious awards including: Brandweek Marketer of the Year, the Advertising Age Marketing 1000 Award for Outstanding Ad Campaign, Crain’s Business of New York Forty Under Forty Award, and Ernst & Young’s New York Entrepreneur of the Year Award.